Stalking the margins is such an exciting way to catch carp. When you get your tactics spot on, not only can it be one of the most exhilarating methods to fish, but it’s also an effective way to maximize your time around the lake. 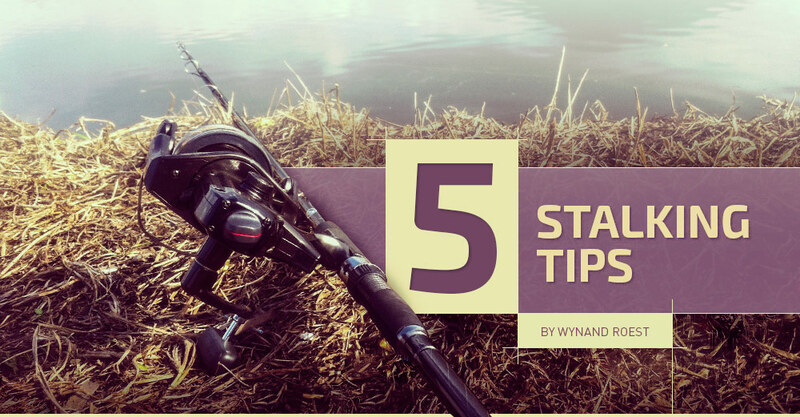 If you aren’t seeing any results in one area, it is always a good tactic to reel in your rods and to rest your swim for a few hours while you try out a new spot. This active style of fishing is my favourite method of catching carp and I hope the few tips below will inspire you to try it. When stalking, only take what you need. Remember you are most probably going to walk quite a bit (especially if you take into consideration that you might be fishing a spot for a few hours and then move if nothing is happening). So you only need a rod, landing net, unhooking mat, a bucket to pour water over the carp and you’re good to go. When you arrive at the water, try and find a good vantage point to spot carp. Look for the obvious signs to give you a good indication of where the carp are hanging out. Once you have a sense of where the carp are, go for a stroll around the lake and locate spots you’d like to fish. 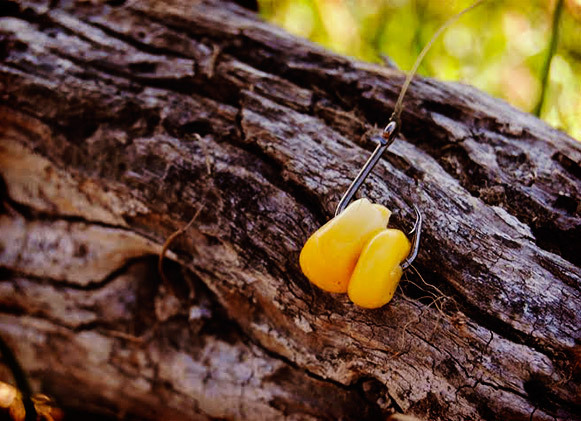 Introduce bait into a few areas you’ve decided you want to fish. If one spot isn’t producing, then you can always be on the move and try another. When walking around, don’t stampede the spot you want to fish. I know, a man is keen to get his lines in the water, but don’t spoil your chances just because you’re anxious to start fishing. Keep your activity on the bank to a minimum. Also when lowering your hookbait into the water, make sure there aren’t any carp in your swim. Lowering your rod or casting at the right time is crucial. If you spot carp in your swim, rather spook them by throwing in a few handfuls of bait (which they will come back to); instead of crashing a lead into the water and ruining your chances completely. When stalking the margins, you’re maybe only fishing a few meters out, so fish with lines as slack as possible. Carp are easily spooked and fishing slack lines will help you to fool the wariest of carp. Please don’t think that I’m saying the above tips are the gospel. When it comes to fishing, I believe one should be confident in what works for you. I’m always eager to learn, try new things and improve when it comes to my fishing; and I hope that these tactics will help you get more carp on the bank.